Hal was absolutely wonderful to work with and did such an awesome job at our wedding ceremony + cocktail hour.. guests are still raving about him. He learned a song for us in such short time and did such a great job. Next time we would love to hire him for even longer when everyone can appreciate and pay attention to him more when everyone is not constricted to the socializing, etc of the ceremony and cocktail hours. Working with Hal was so easy and everything worked out perfect. Thank you Hal!!!! Wow! What an awesome night. 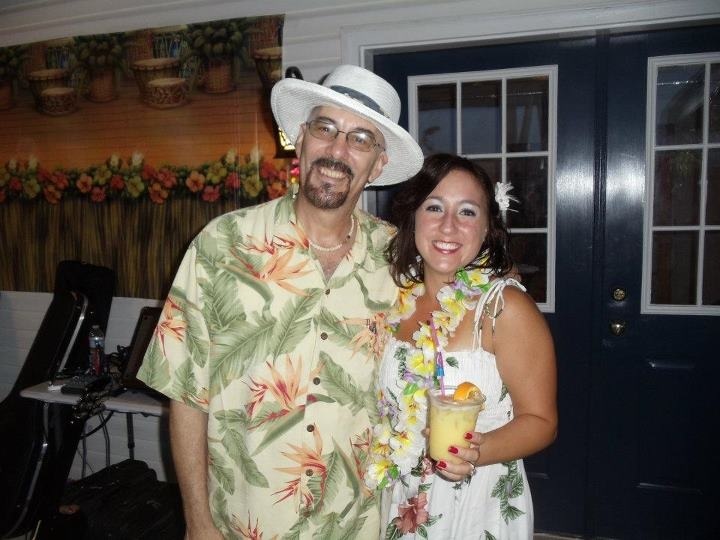 Ken and I would like to thank you for playing our Luau party! You were fabulous! Fun, entertaining and most definitely the best addition to our party! Hope you will play our Luau again next year! Thanks again!! Hal was great !! He played at our daughters beach wedding and was wonderful and we recommend him highly!!! What a great time by all! Hal was just what we were looking for. His music and singing was awesome. Would recommend him to anyone that wants to have a good time. We will have him back! Hal was great! Showed up an hour early to set up for our house party. The music he played was great. Between sets he played top 40s music which was great for the younger kids. Our adult guests loved Hal. I would highly recommend Hal for any party or event you are hosting! Hal was a big hit and really made a birthday party for my wife special. He was prompt, polite, accommodating and went with the flow of this small backyard party. I wouldn’t hesitate calling him back to our next event. Hal Aaron was an absolute professional from the day we contacted him on Gigmasters. Mr. Aaron played our cocktail hour at our wedding and it was everything we asked for and more. We requested a song that was not on his usual set list and even learned it and played it for us. He helped make our wedding extra special and would recommend him highly. He is a great guy and an excellent musician. You will not be disappointed if you hire Hal Aaron!